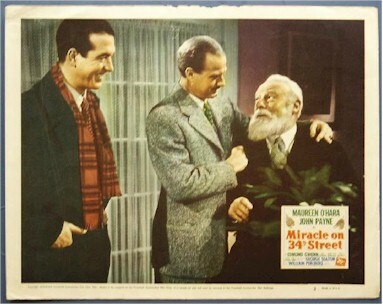 Starring Edmond Gwenn as "Sanata Clause"
1947 - Edmond Gwenn, as the "real Santa Clause" in the "Miracle on 34th Street". A beautiful original lobby card , great scene with Gwenn! !